View More In Gun Holsters - Page 3. Pro-Tech's leather holsters are made with top grade leather. Hand crafted with strong Bonded nylon thread. 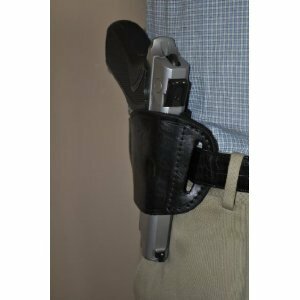 30 Day Money Back Guarantee Black Leather Belt slide for Kel-Tec PMR 30 Right Hand Only. A WORD FROM PRO-TECH OUTDOORS Quality and customer satisfaction is our primary focus! We are committed to producing the finest leather holsters available on today's market and offer affordable holsters produced from the highest quality material. We offer quality warranties on all our products... that tells our customers that we take pride in producing the highest quality leather holsters possible!! Our goal is simple; quality first above sales, with customer satisfaction guaranteed!!! PRO-TECH IS ON YOUR "SIDE". Made With Top Grade Leather. Stiched With Strong Bonded Nylon Thread. If you have any questions about this product by Pro-Tech Outdoors, contact us by completing and submitting the form below. If you are looking for a specif part number, please include it with your message.